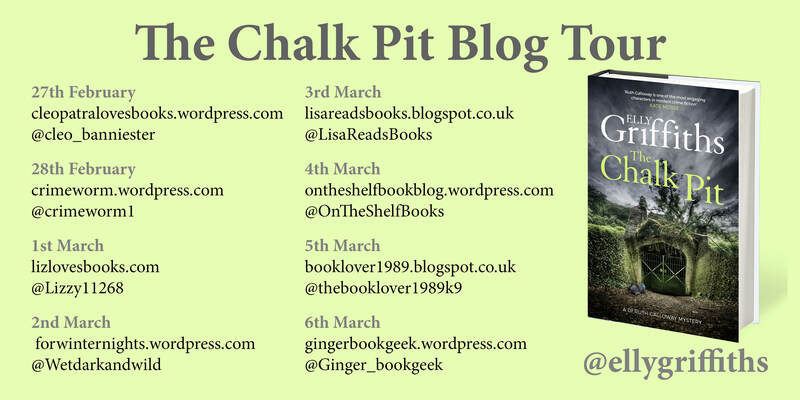 I am a huge fan of this series which features the down to earth Dr Ruth Galloway and the surprisingly complex DCI Harry Nelson so I was thrilled to be asked to be part of the Blog Tour to celebrate the publication of The Chalk Pit by Elly Griffiths, the ninth book in the series which was published on 23 February 2017. To kick off the tour I give you my humble opinion of this great book! 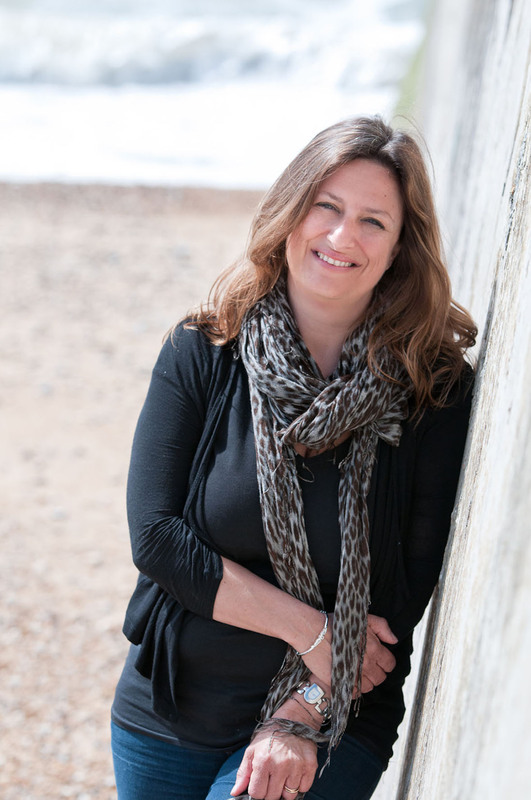 Another outing for Ruth Galloway and this time the action is firmly set in Norwich when bones are found in an underground tunnel under Guildhall, which is something of an inconvenience for Quentin Swain the architect who is looking to use the space to build a swanky restaurant. Ruth overcomes her dislike of enclosed spaces to take a trip below the city to take a look; she’s fairly sure that they are old bones so sends them off to be tested. Meanwhile the police are investigating the disappearance of a homeless woman, Babs in Norwich who has disappeared without trace. Eddie who has made the police station his bedroom, has reported her missing and it is clear when the police starts talking to the other members of the community, that they are worried about her too, but many are cautious of the police. And then a housewife goes missing in very suspicious circumstances and the police are forced to consider whether there can be a link to Babs. I have to say that this book treats the subject of homelessness with far more nuance than any other that I’ve read. Elly Griffiths has given each of the many men, and they usually are men, a realistic story of how they came to be on the street, and why they are unwilling to accept the help offered to them but she has resisted the urge to make them all out to be saints which means that her attempts to make them realistic characters is so much more effective. One of the many aspects of this series which I love is the link between Ruth and DI Nelson through their daughter Kate and the peek behind their working lives into what can only fairly be described as muddled. These insights leak around the side of the main investigation, never overwhelming it but often cleverly linking or echoing the themes. In this book Kate is offered the part in a play. Ruth isn’t too sure whether this is a good idea but a few words from her mother and outright disapproval from Nelson means that Kate winds up playing the child Alice in a quirky adaption of that famous story called Alice Underground. The adult Alice being played by Cassandra wife of DS Clough. The other aspect I really enjoy is that upon opening up the latest in the series I feel like I’m meeting old friends with the characters, distinct and engaging as ever, we had plenty of news to catch up on while underground tunnels were being searched and pits opening up in the road are causing chaos in Norwich. Ruth Galloway also links back to past books with little asides so this really is one of those series which is best read in order although there is a helpful who’s who guide at the back of the book for those of you reckless readers who are happy to dive in straight at book nine! The familiarity of the characters alongside the first person narrative really make me feel that I am part of the book. So I know what’s going on and I can often predict the individual character’s response, but the plotting is so devious that I am no match for the detectives, I am merely on the side lines waiting for them to crack the case in indomitable style. Although to be honest there isn’t one of these books that I haven’t enjoyed, the plotting in this one seemed tauter and the links more robust than some of the previous books. 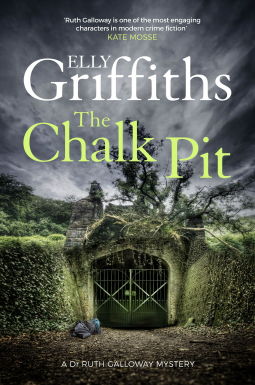 When you combine the excellent mystery with some intriguing personal lives and a look at a community which rarely has an accurate spotlight trained on it whilst seamlessly providing the history of the underground tunnels in Norwich, The Chalk Pit was a sure fire winner. I think the best part of series books is, as you say, the feeling that we are meeting old friends. It is lovely particularly when a series is well established – Elly Griffiths definitely promotes that feeling in this series. I’m so glad I discovered this series through you. Currently reading Dying Fall and really enjoying it. A few more sleepless nights and I’ll be all caught up 😉. This is such an excellent series, isn’t it, Cleo? It’s among my top, and it’s one of those that really don’t let you down. Very glad you enjoyed this one so well. If anything I think Elly Griffiths has upped her game in this one – very enjoyable indeed. Sounds complex. A new one for me so I enjoyed the update. This series really is worth checking out if you get a chance. Very nice review and, like you, I loved the compassionate look at the homeless individuals. And how the ‘team’ reacted to them in sometimes unexpected ways. Lots going on here and lots in the personal lives of all the ongoing characters. I thought this one was quite good and, once again, can’t wait for the next one. That’s the only problem with this series, as soon as one finishes I’m longing for the next! I’ve only read the first book in this series, but I loved the character of Dr. Ruth Galloway…so I want to read more. Thanks for sharing! This isn’t a series I’ve read but really should. It sounds great and, if it feels tauter than others can only be getting better? I think the thing with series is once the characters are well established I expect more from the mystery itself – this one was even better than the last couple! I reckon from your words that there’s a real sense of authenticity and realism in this book and I love when it happens. Another great side of series always coming back to the characters and feeling the bond between reader and protagonists stronger with every story. This sounds like a strong crime story! This is one of my favourite series, the characters are all quite warm so it feels friendly even while murder is afoot! Thanks for your review of this one. I was only lukewarm on the first in the series, but maybe I should give it a second chance.